Back in a post from early spring, I mentioned how I couldn’t wait to share some of my favorite flowers from our garden. Well, the day has arrived and I’m thrilled to show you 3 of my favorites. Not only will you see these flowers in their original form (planted in ground), you will also see them displayed in vases. 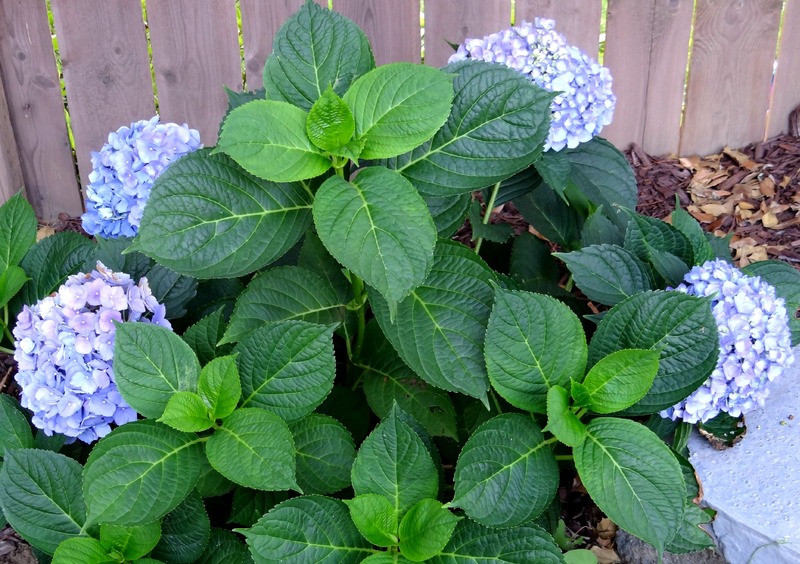 Over the years, we’ve planted 3 hydrangea bushes in our yard (1 pink and 2 blue). I love hydrangeas for their clusters of 4-leaf flowers and their bright, glossy leaves. (1) It’s nice to enjoy the blooms outdoors first. (2) Cutting the blooms when the clusters haven’t matured (full color realized), minimizes how long the blooms last indoors. This is my all-time favorite flower! 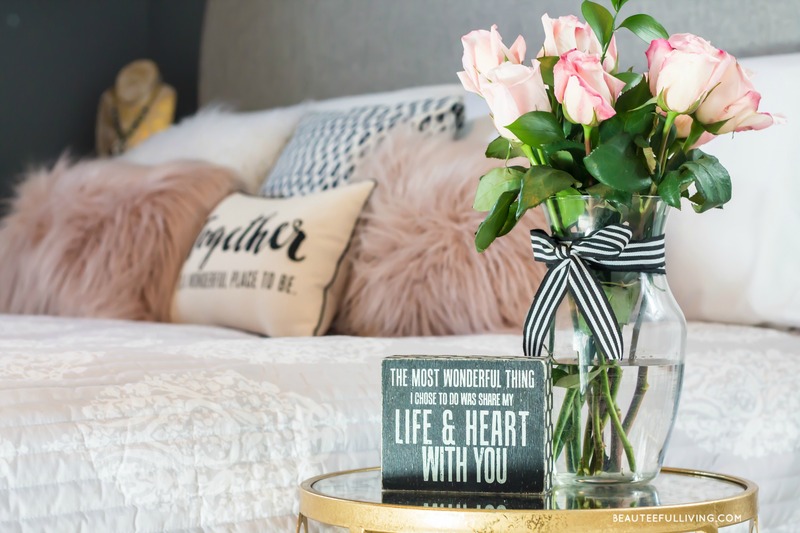 This flower will always have a special place in my heart because it always brings back fond memories of wedding planning. I wanted peonies for my wedding flowers after seeing them in a bridal magazine. It wasn’t meant to be though. Peonies bloom in the spring; we planned our wedding for late August. Even so, the mere thought of peonies reminds me of how much I enjoyed planning the details of our wedding. 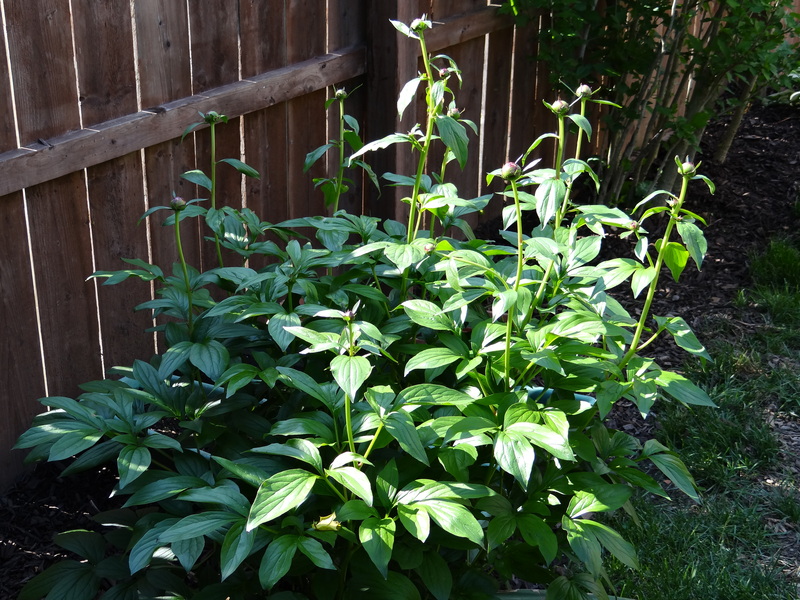 When Chris and I moved into our home back in 2005, luck will have it that the previous owners had peonies in the backyard. It was one of the best gifts they left us, the new homeowners. Just 3 stems made this full floral arrangement. This is an extremely fragrant flower! I love the shrub roses alongside our fence. 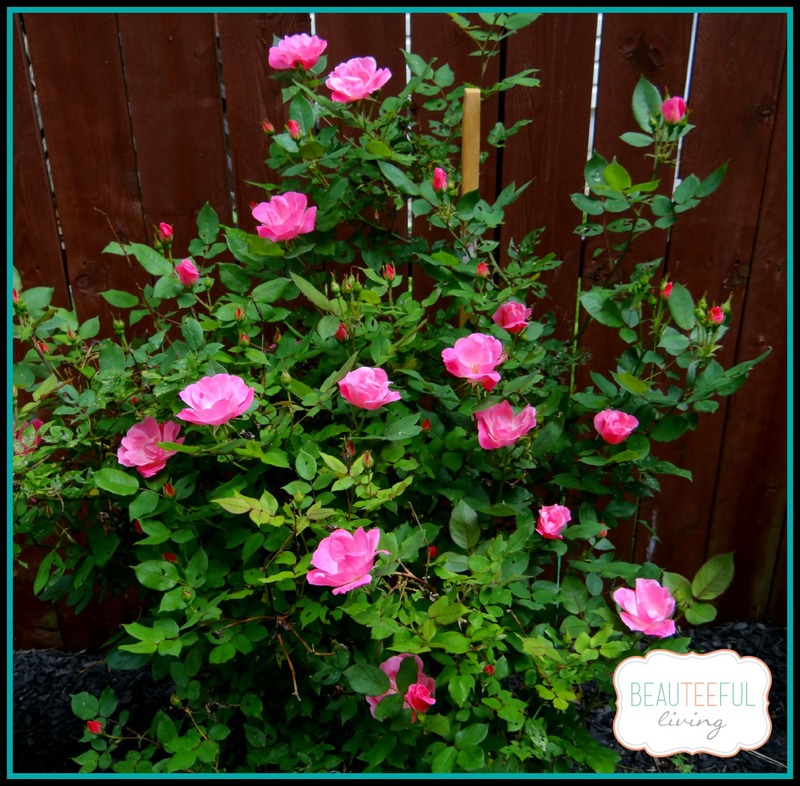 I love how these roses bloom throughout the spring and summer seasons. Hardy in nature, they rarely need much watering or extra care. Since our rose bushes are planted in front of our house (on side), we don’t have to worry about our kids or dogs getting pricked by their thorns. Although tiny, these thorns are sharp! Want extra credit? 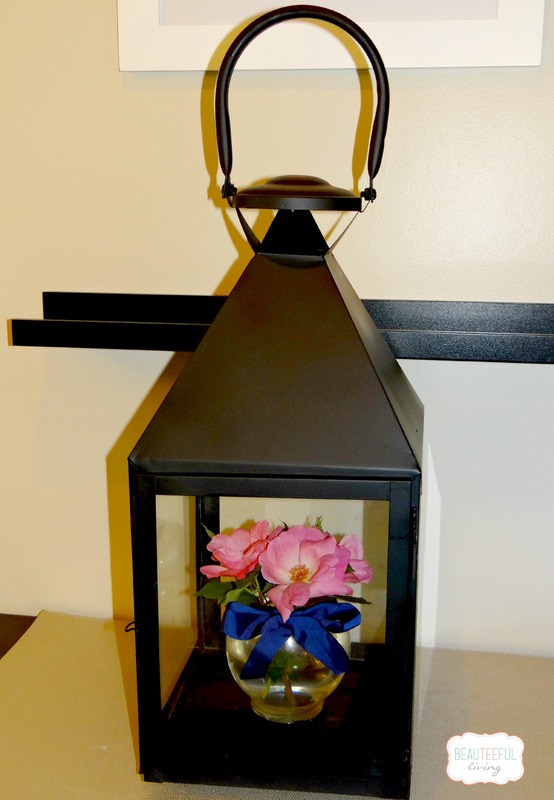 Place the vase of flowers inside a large lantern. 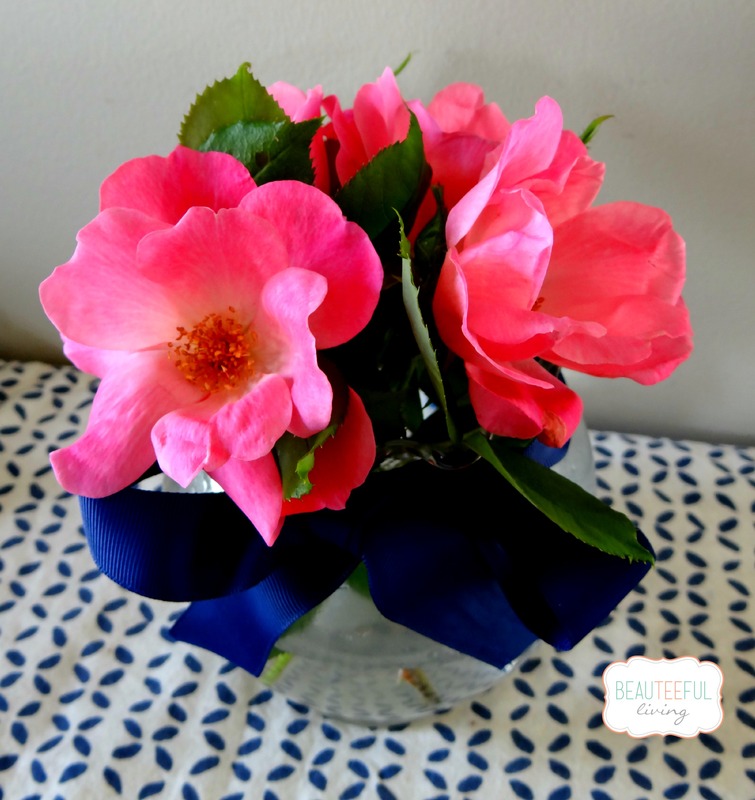 It makes a stylish and interesting centerpiece! Which of the 3 flowers featured is your favorite? If you’ve enjoyed this post, please “like” on Facebook. Thanks for reading! so simple yet so pretty! love them. Oh gosh! These are truly beautiful! Wow! The colors are just so beautiful! Those are absolutely gorgeous. There is something magical about flowers to brighten one’s day! So pretty! I wish I had a flower garden! There’s always next year right? Peonies are such pretty flowers. I love how you have arranged them. 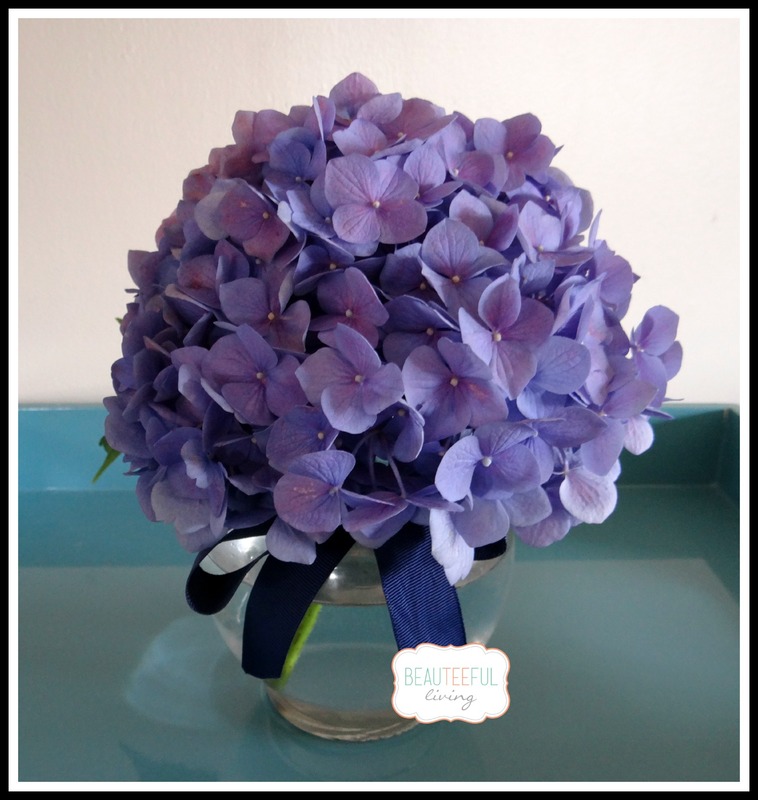 I love hydrangeas and I also love tulips and cala lillies! I love hydrangeas but all of these are beautiful! I love how you displayed them! Totally amazing! I love the arrangement and how simple and clean they are. ahhh i love hydrangeas! I want to try and grow some next year now! Your hydrangeas are beautiful! I love how they are displayed. I just love the smell of Peonies, but we don’t see them naturally growing much here. These are so pretty! I have some peonies on my side yard I like to pick. I love these! My favorite flower has always been a Hydrangea, I love how big and full they are. And mine bloom all summer long which is amazing. I have traditional roses, they are wonderful to have also. I have just decided I want to add peonies to my garden. I don’t know too much about them other then they are pretty, gorgeous, beautiful and so much more. 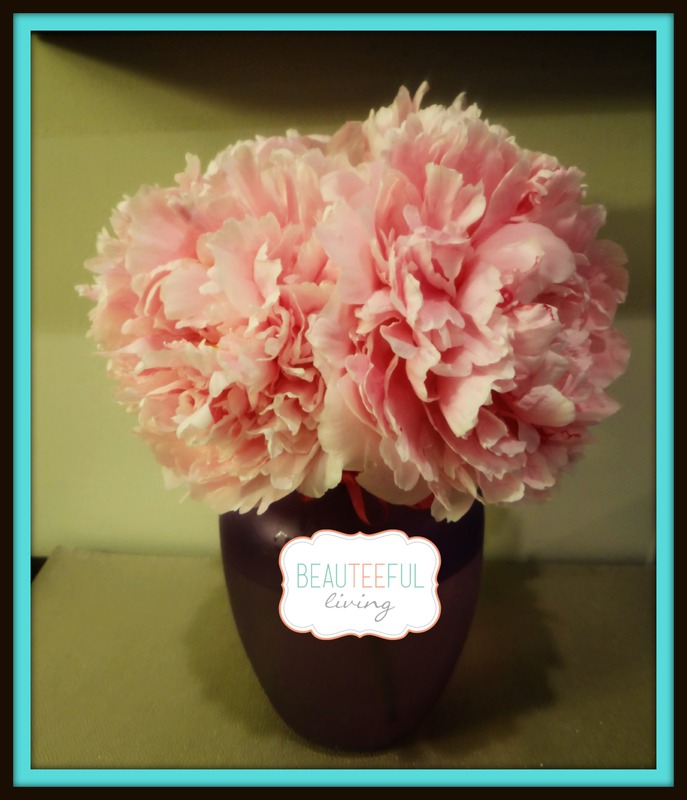 How big is you peonies? I was wondering how big the bush is or will become?